I told you in my first post that my blog posts would be rambling. I wasn't kidding. As if to underscore that point, Steven Streufert summarized all three of my last blog entries in one brief sentence: "Human experience runs way ahead of what can now be scientifically proven." Well put, Steven. If one conducted an investigation of the sasquatch in a very active location, like Mount Ranier for example, that this guy or gal would gather a great deal of human experiences that would be useful toward understanding the phenomenon even though it would be utterly unprovable information. The experiences and observation of a person who has habituated the local wildmen may never be provable, even though they may indeed be real experiences. That's because the creatures themselves are aware of what we are trying to do and they have no intention of cooperating. I suspect that this is precisely what has happened and is happening at numerous isolated locations around the continent that we sometimes call habituation sites. I worked a few of these locations myself, and gathered information from several more that I could not be at all sure of, although they seemed to have the ring of truth. It's never for sure, but when the descriptions fit a pattern, I certainly hang on to those descriptions and give them serious consideration. Then, I apply the lessons learned to my own situation and see what happens. Sometimes, this leads to more unverifiable observations, but this time they are my observations, not somebody else's. That doesn't make them any more scientifically certain, but it sure means a lot more to me. I feel like I've made good progress. I feel like I'm much closer to at least a partial understanding of what is really going on in the realm of the sasquatch. I am, however, no closer to proving anything than I was a decade ago. I do think I have a lot better understanding of the matter. Granted, every answer leads only to more questions, but I still feel like I've gotten at least a few answers. I figure I'll concentrate on gathering proof later, and just concentrate gaining a little understanding first. At least, that's the way I've been working it for the past ten years or so. At some point, one does get enough material that it becomes necessary to check with other serious field people to find out whether my observations, tentative conclusions, and suspicions match the stuff they've been getting. I did this by writing everything down in one book, 'The Locals', and got that published in 2003. That was eight years ago. I was relieved to find that even some of the more venturesome conclusions I expressed in that book were supported by still other folks I had never met, but who were out there doing serious work of their own. Lots more news from the field came my way as a result of publishing The Locals, some of it being support for ideas I'd already written about and some of it being even more incredible stuff than anything I had already been given to understand. It's nice to be in the Pacific Northwest where there are a lot of active field people to check with, although it has been even more instructive to learn from the experiences of people in other parts of the continent like Bill Dranginis in Virginia, Ron Lewis in Ohio, Lisa Shiel in Michigan, Michael Humphreys in Oklahoma, Larry Hagedon in Iowa, Mike Hall in Louisana, Doug Tarant in Nevada, and many others. Eight years later, I still don't have the proof that everyone seems to want, but I do have still more obseravtions, speculations, and tentative conclusions than I had when I wrote 'The Locals'. Heck, I have more material now than ever. So now what? I guess I could write another book like 'The Locals.'. I started doing that and got about half way through the process when I lost interest. First, it began to feel redundant to write the same book a second time. 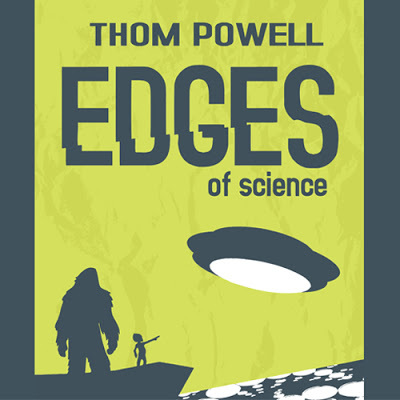 On the other hand, the material I was inclined to feature in the second book was, in some cases was so far out on the limb of 'the paranormal' that it seemed like it would be of interest to only a handful of fringe sasquatch devotees. I had to go a different direction, for my own sanity, and in the hope of getting the information I had gathered before a wider audience, not a smaller one. That's when it dawned on me: One can say more through fiction than non-fiction. Despite the fact that some say 'The Locals' was also fiction, I set out to invent a completely fictional and entertaining story that would also describe what I saw as the true nature of the sasquatch phenomenon. I started writing the story three years ago. I didn't even know how the story would end when I started writing it, but many midnight walks and many rewrites later, I have finally finished it. Basically, I took somewhere between twelve and twenty of the strangest accounts, observations, and encounters and mixed them all together. I didn't just put them into a literary blender and pulverize them into a milkshake. Instead, I tried to layer them carefully and logically, more like assembling the ingredients in a tray of enchiladas. The sighting reports used in the story, like the characters, are the ingredients in the casserole, and the plot, like the corn tortillas, is the starch that unites the separate ingredients into a coherent whole. Many people helped improve the recipe. I was lucky enough to get editorial help from Tom Yamarone, Joe Beelart, Dmitri Bayanov, Sally Wolford (Autumn Williams' mom), Toby Johnson, Alicia Bateman, Christopher Munch, and a whole bunch of other kind folks. I've never written a novel before, so I fear this one may still be a little rough around the edges. But, whatever it is, it had been baked long enough and now it is ready to be served up. I took Thom Cantrall's advice and spared myself the aggravation of trying to market the resulting piece of 'niche literature' through the big publishing houses. Instead, I'm following Thom's lead and going the route of what is variously called "self-publishing" or "printing-on-demand." It is now in the hands of the publisher. I could have worked on it for another ten years but I decided it was time to submit and just get it out there before I lost my nerve. In another month or so, you will be able to find "Shady Neighbors" on Amazon.com. I'm certainly not Hemingway and this novel may not be epic literature, but it is an attempt to tell a fictional story that illustrated the way humans and sasquatch sometimes interact. Just about every bigfoot novel I have ever read has the same three characters: The big game hunter who plans to kill the sasquatch but who ends up getting killed himself, the professor, whose principal role is to provide background information, and the hot babe, who always get away alive even as everyone else dies. I tried to take a completely different course. No guns, no murders, no crooks, and no hidden loot. I tried to make a totally original story that does not portray the sasquatch as the villain or the monster, but rather a part of the landscape, albeit a vey mysterious one. I hope it works. I'm not expecting a bestseller, and I'm not in it for the money. If I can put something out there that entertains even as it portrays some of the stranger but real elements of the sasquatch phenomenon, then that will be the only enchilada I set out to make. Looking forward to the book, Thom, and also seeing you in June at the Second-Annual OSS. What a pleasant surprise. I've just now stumbled across your site/blog for the first time And learned a new book is on the way! I can't wait. I don't know Thom, I think you've got to "get a grip". That cover-art shows a right-handed BF with what appears to be a one-seam fastball.......I'd rethink that one, shoulda been the knuckler? !